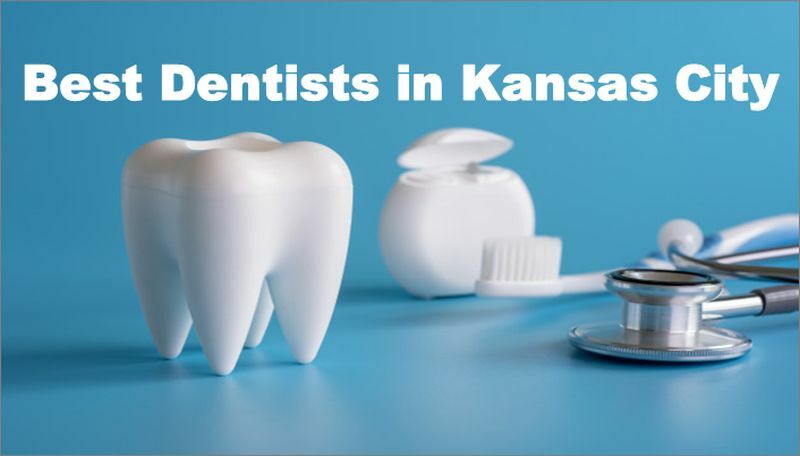 Are you looking for a Dentist in Kansas City? If you are looking for a dentist in the entire state then your search ends here. Here is the definitive list of Best Dentists in Kansas City to providing complete comprehensive and preventive patient care. Throughout our list, you will find an abundance of information about their practice and the procedures we provide. These dentists have received great reviews from customers and are currently accepting new patients. Schedule your appointment today! Dr. Beyer received his Doctor of Dental Medicine degree (D.M.D.) from Southern Illinois University School of Dental Medicine since 1998. He is board certified to perform all aspects of dentistry. He believes that Excellent Staff members are one of the most important factors in having a successful practice. Dr. Kirk Opdahl received his doctorate degree from the University of Iowa College of Dentistry. He graduated on the Dean’s list with honors, the very top of his class in clinical scores, and has continued his efforts in his dental career. He is becoming the youngest dentist to achieve his Accreditation from the American Academy of Cosmetic Dentistry in 2001. He is a member of the ADA, AACD, AGD, American Academy of Implant Dentistry, and the International Congress of Oral Implantologists. Dr. Jeremy Bowen graduated with honors from the University of Missouri, School of Dentistry. He has received advanced training at the Dawson Academy in restorative dentistry and treating T.M.J. (Bite Disorders). Currently, he serves on the Board of Trustees for the Missouri Dental Association. At Dentistry for Children, there are four Drs in the entire state those are providing the best dental care for you and your families. Visit Dentistry for Children – North Kansas City Pediatric Dental Specialists and Teen Dentist. Meet their Pediatric Dental Specialists: Louis Pollina, DDS; Brandi Roeber, DDS; Teen Dentist: Laura Walden, DDS; and our staff. Dr. Steven Mingos received his doctorate of dental surgery from the University of Missouri Dental School, Kansas City. He is a member of the American Dental Association, the Missouri Dental Association, and the Greater Kansas City Dental Society. Dr. Blair Edgington is a second-generation dentist from Wichita, Kansas. She receives her doctorate of dental surgery from the University of Missouri Kansas City School of Dentistry. She is a member of the American Dental Association, the Academy of General Dentistry and the Kansas and Missouri Dental Association. Dr. Jessica Niederee received her Doctor of Dental Medicine from Midwestern University in Glendale, Arizona. She is a member of the American Dental Association and Kansas Dental Association. Doctor(s): Dr. Steven C. Mingos, Dr. Blair Edgington, D.D.S., Dr. Jessica Niederee, D.M.D. As board certified pediatric dentists, these drs have special education on childhood development, providing compassionate, gentle dental care and easing children’s anxiety. Its goal is to not only provide exceptional dental care, but to also help educate our patients so they can learn how to take care of their smiles and develop strong oral hygiene habits. Dr. Jay Hodge has over 25 years of experience in helping patients obtain the beautiful smile they deserve. He is graduates of UMKC School of Dentistry and also completed hundreds of hours of post-graduate education in both cosmetic and implant dentistry. Dr. Hodge offers the highest level of dental care for each of his patients, whether they are seeking cosmetic or restorative dentistry solutions. At Duensing Family Dentistry, there is William J. Duensing Sr., William M. Duensing, drs available for your crarring and beautiful smile. They offer complete dental care to patients of all ages. They are able offer dental care in the full spectrum of General Dentistry including annual exams, cleanings, cosmetic procedures, bonding, crowns and bridges, dentures, implants and root canals. At Deyton Dentistry Dr. Deyton have taken a different approach to healthcare. A 30-year resident of North Kansas City, he continues to dedicate his career to the Northland, and greater Kansas City area. He has twice been named “Missouri Dentist of the Year” — once by the Missouri Dental Association and once by the Missouri Academy of General Dentistry. Dr. Samuel Huckabee and Dr. Melanie Huckabee are proud to offer the skills and services of two experienced dentists at their office. They strive to provide you and your loved ones with the highest level of dentistry and patient care. They offer a wide variety of dental treatments in order to accommodate all of your needs and help you achieve the beautiful, healthy smile you deserve. Its dental team is friendly, caring, knowledgeable, and experienced. Dr. Jaime earned her D.D.S. degree and graduated first in her class from the University of Missouri-Kansas City School of Dentistry. She is certified as Diplomate of the American Board of Pediatric Dentistry.She is also complete a 2-year specialty residency in Pediatric Dentistry at The Children’s Mercy Hospital in Kansas City.